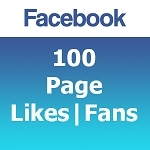 Facebook Likes or Fans services are available for all types Facebook Pages and Social Plugins located on any website or blog. More information about this service can be found at the bottom of this page. 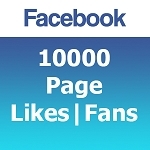 Buy Facebook Page Likes Cheap or Purchase Facebook Fans Cheap from the options above. Facebook is the #1 Social Network online, and a good Facebook presence is now essential for any business whether it's a small local business or a big corporation. In order to have a good reputation, credibility and a good search engine ranking, a Facebook Page is the place to start. However a Facebook page with no likes or fans on it, might leave a negative effect on the customers who visits your page and will not get you a first good opinion about your company. Hence, your page should also have enough likes or fans so that it feels reliable and real. While a few hundred likes or fans might be just enough for smaller companies, bigger companies might require much more likes and fans. Please also note that having way too many likes and fans on a Facebook page for a small local business might also not look correct. 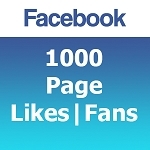 Essentially Facebook likes and Facebook fans are the same thing, however the term "Fans" might be more relevant for music/band pages. So all the above campaigns are available for any type of Facebook pages. Please note that those campaigns are only for Facebook pages, and not personal Facebook profiles. The above campaigns might also be purchased for any type of Facebook social plugin you might have on a website, blog or page. Such as the like buttons, recommend buttons, etc. The techniques we are using to start your Facebook campaign are completely safe, and your page will not face any risks by using our services. We do not require an admin access or your password in order to begin your campaign, we will only require your link (URL) which needs to be input while adding the service to your shopping cart.